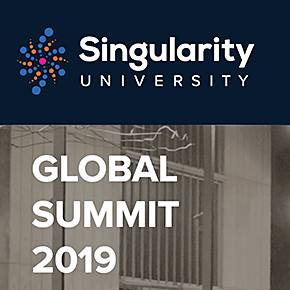 Be part of our unforgettable annual gathering of Singularity University’s global community of leaders and change makers. We’ll explore the exciting convergence of exponential technologies, connect new people and ideas, and co-create a better world together. The EXPO at Global Summit is a place for discovery, connection, discussion, and ideation between sessions. Play with interactive technologies from the Singularity University Innovation Lab and explore a curated collection of companies that are using emerging technologies to create new solutions to global challenges.